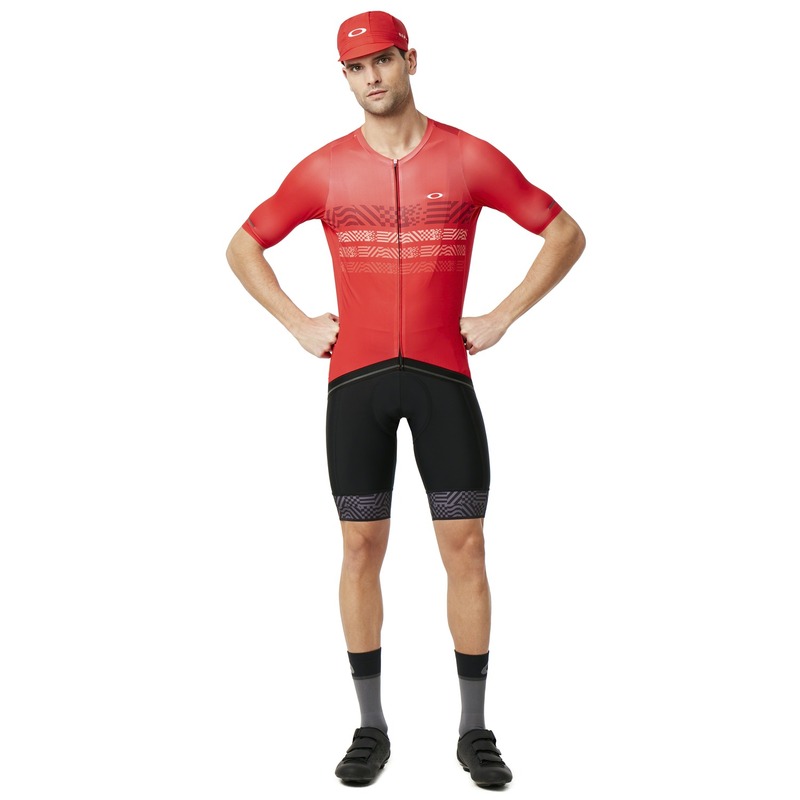 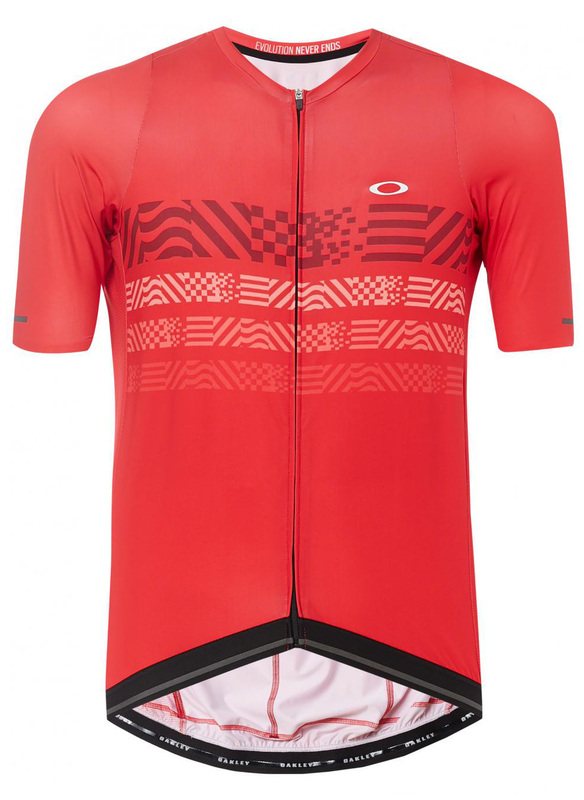 The Oakley Endurance Jersey features aerodynamic fabric on the sleeves for a razor-sharp fit that helps you slice through the wind in the chase for those elusive marginal gains. 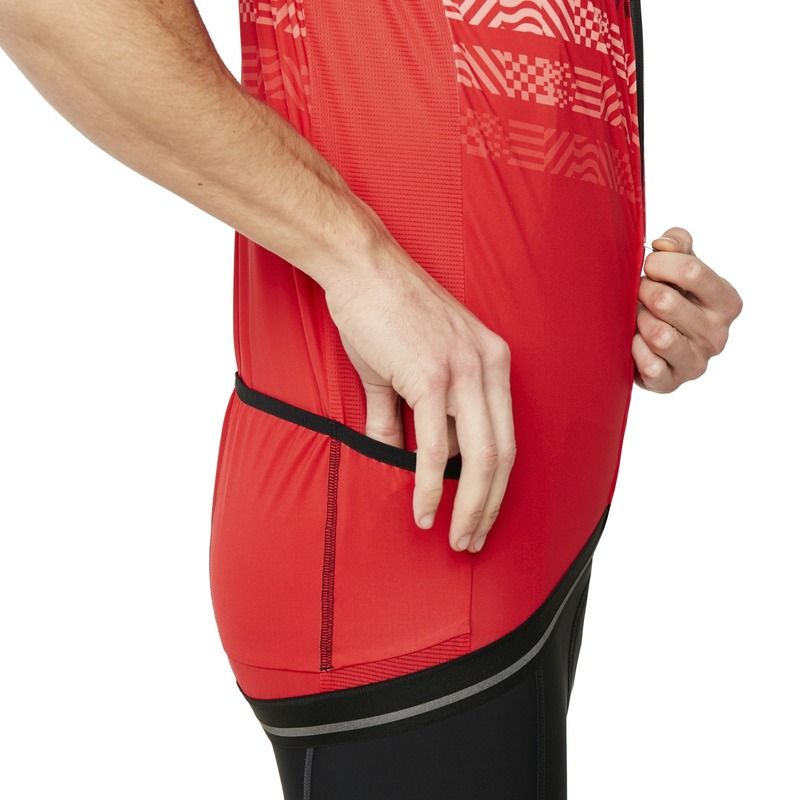 The mesh fabric placed in strategic areas helps with ventilation and breathability to help keep you cool and dry while you dish out the pain. 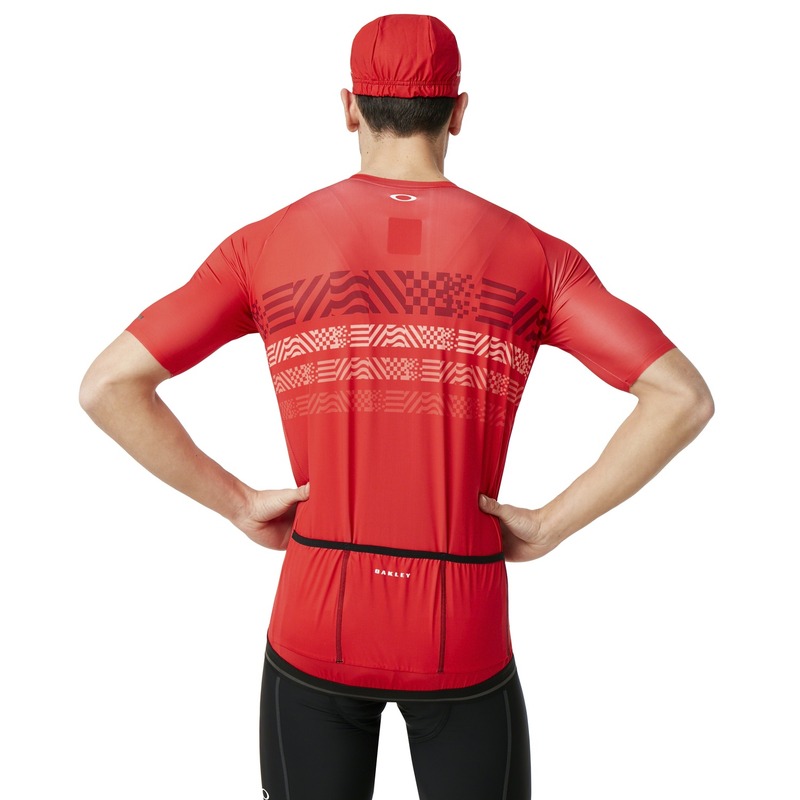 The transparent reflective on the sleeve increases your visibility, providing you with added safety for riding in low lighting riding conditions.